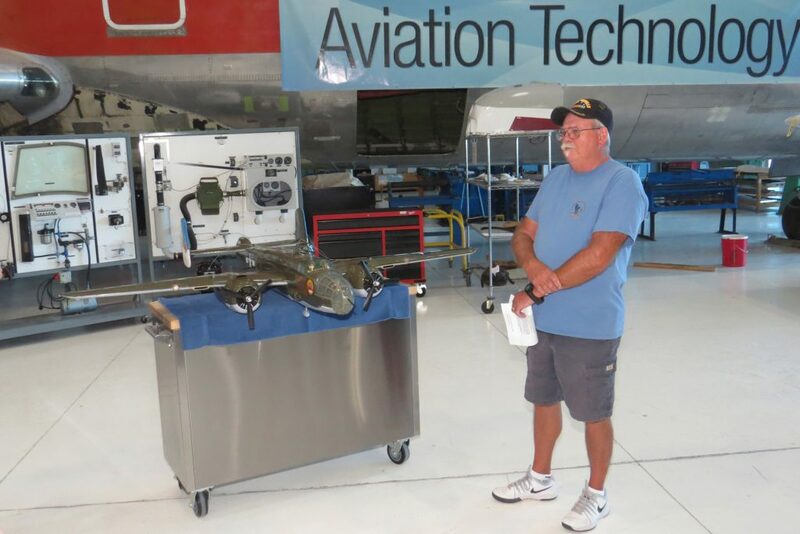 Richard Swech, as a member of Southern Arizona Modelers, always enjoyed working on and flying R/C airplanes. 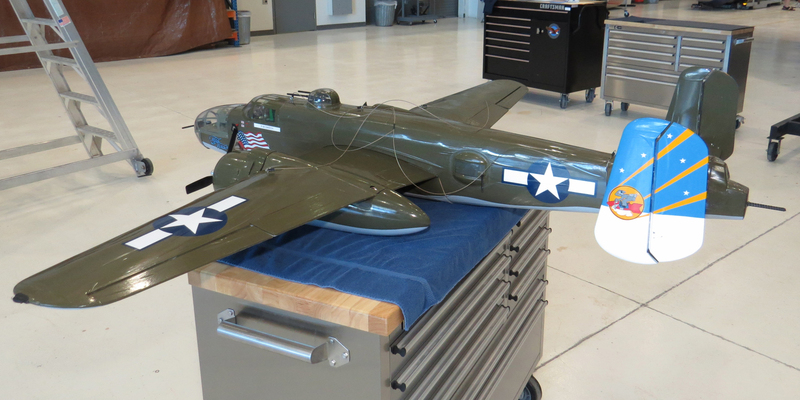 He was continually working on a B-25 from a Hangar 9 ARF kit for as long as some of us had known him, but he was never quite satisfied. First it had air retractable landing gear which he switched out to electrical retracts. Next he installed working landing lights. Then it needed a gun sound system with pulsing lights for the tracer rounds. 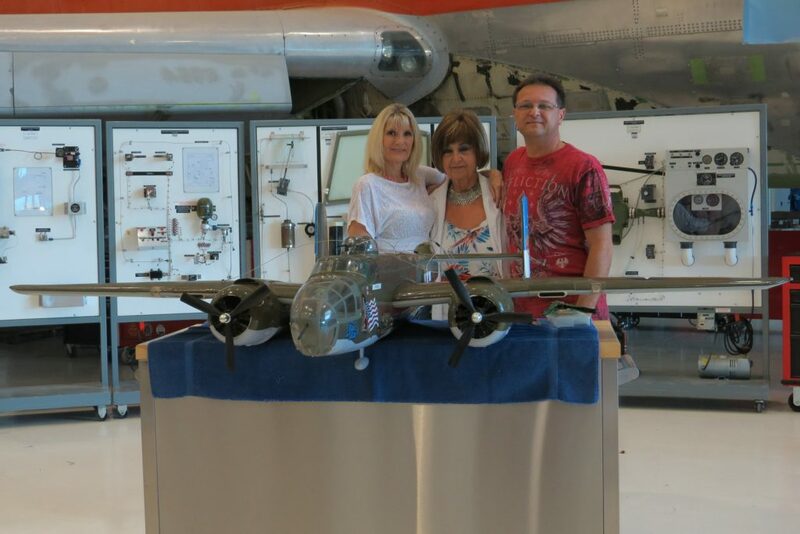 As such, he never got it completed the way he wanted it and never got to fly it before he passed away on August 13, 2015. 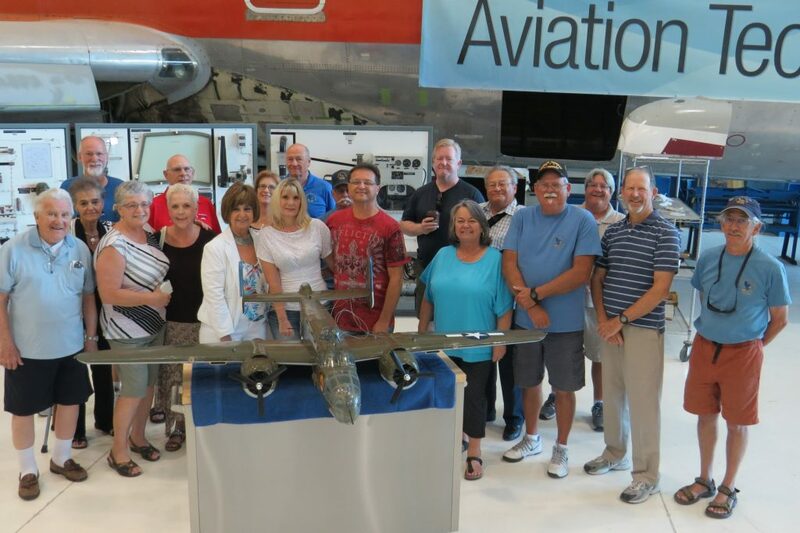 The original B-25 was built during World War II by North American Aviation and was used as a level bomber, ground strafer and more. 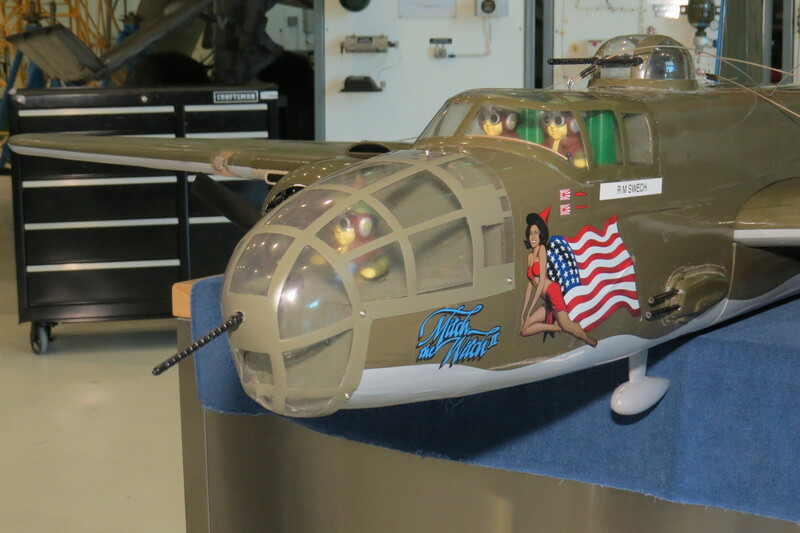 Some models had a 75mm Howitzer in the nose and through the years had an increasing number of 50 caliber guns mounted on the side and rear. As a side story, Richard was charging some LiPo batteries, which need close monitoring. He went into the house for just a few minutes and when he came back out flames were going up the wall. He managed to extinguish the fire without too much damage done. 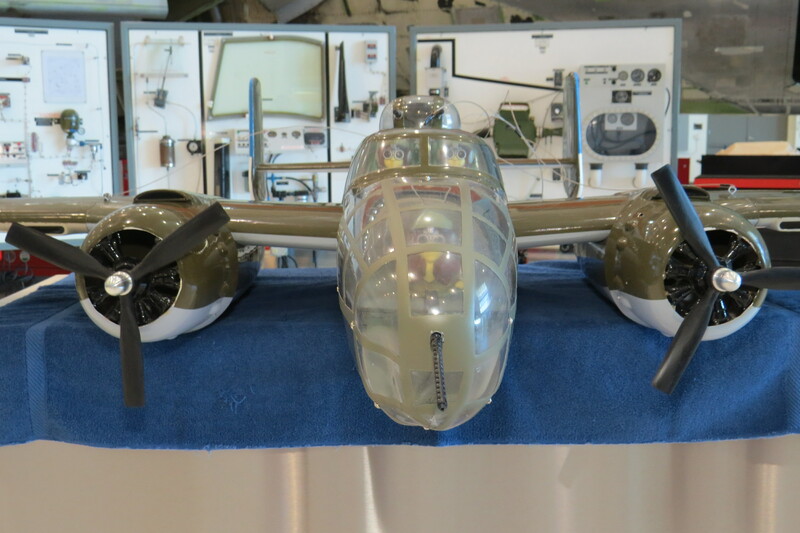 Unfortunately the right wing of the B-25 was scorched a bit but not bad enough to replace. It was cleaned up and repainted to look like a little battle damage. After all most aircraft involved in WWII had at least some battle scars! 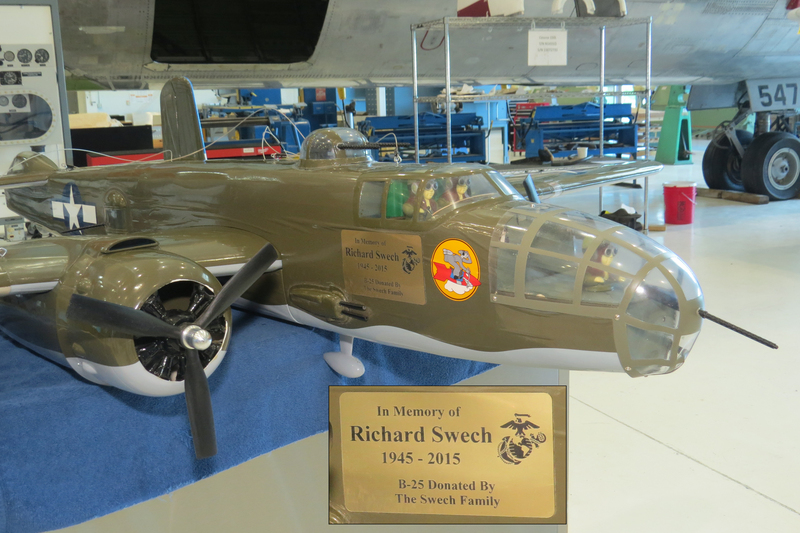 After Richard’s passing, his wife and son asked fellow club member Marion Preston to clean out Richard’s models. 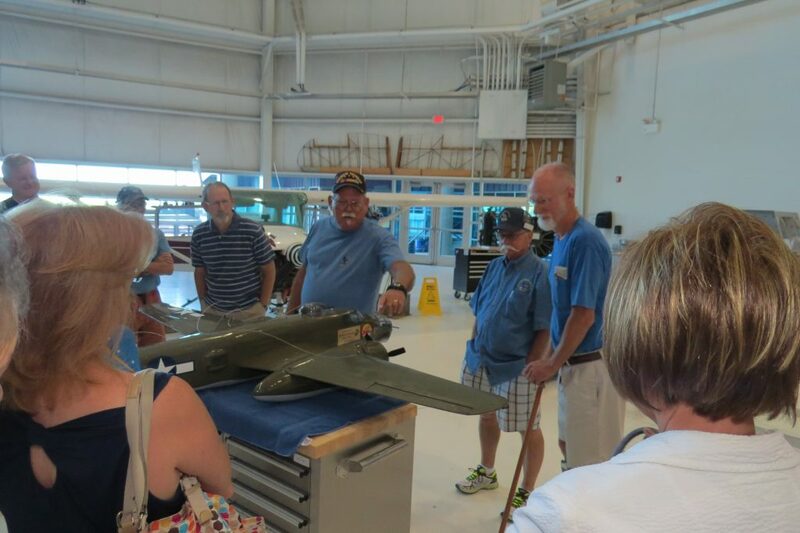 At that time it was decided that Richard had put too much time and effort into this airplane to just let it go anywhere or to get flown and crashed. Marion cleaned it up, took out what wasn’t needed to lighten it up and turned it into a display model. 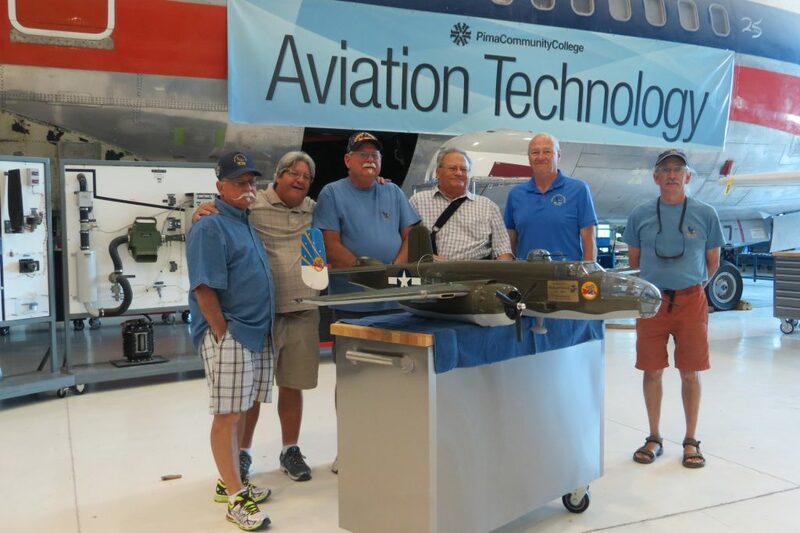 After a little searching, Tom Hinman from Pima Community College Aviation Technology gladly accepted the B-25 as a donation to inspire his students and future students interested in aviation technology. 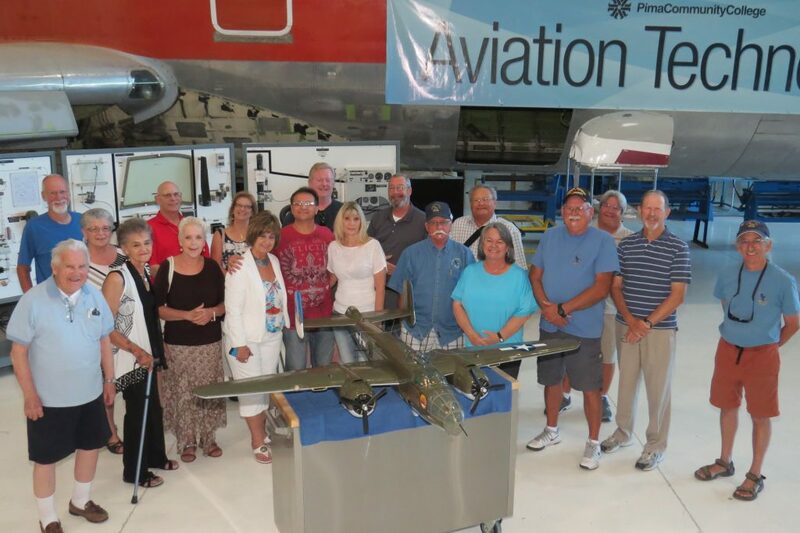 It was officially donated to PCC on June 18, 2016 and will be displayed there soaring forever in flight. Richard Swech’s wife (middle), son and daughter-in-law. Some SAM club members on hand. Marion giving donation speech on behalf of the Swech family. 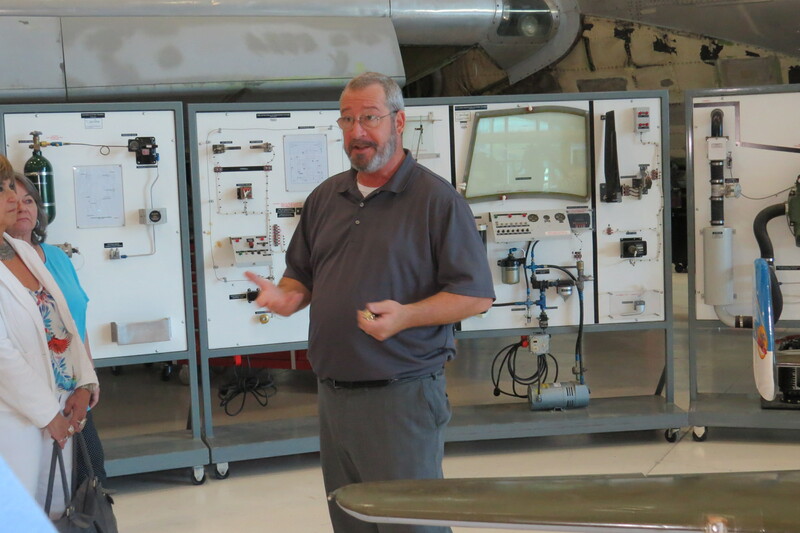 Tom Hinman, Program Manager for Pima Community College Aviation Technology Center.